Are you someone who got into the influence of people and started popping supplements to stay fit and fine? While it might all sound and look too fascinating how it works, it still doesn't do the job that natural foods do. 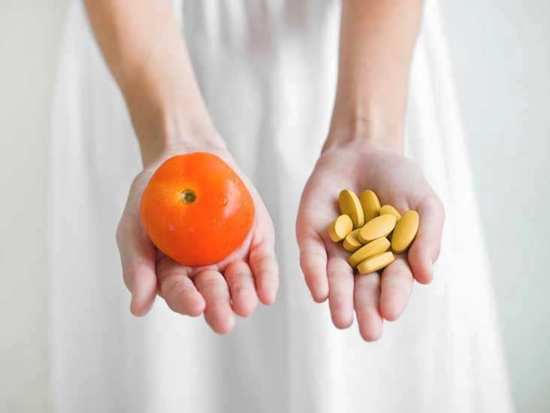 To put it into simpler words, the kind of nutrition that natural foods like fruits, nuts, vegetables, grains, dairy and other dietary sources provide is unmatchable to that of supplements. And if you don't believe in this already, there's a study which proves just this to be true. In a study published in the journal Annals of Internal Medicine, they have specifically focused on too many calcium tablets can give you higher risks of cancer. Not just that, the study also talks about how the risk of death from any causes drastically reduces when you take adequate nutrients from foods and not supplements. In a report, a research says that there's less risk of death when supplemental doses of calcium which exceeds 1000 milligrams a day is taken. Which sufficient amount of vitamin K, A and zinc lowered the risk of deaths from CVD i.e. cardiovascular diseases. However, if calcium is taken in excess, there are higher chances of death from cancer. They then found out that nutrients from foods and not supplements lowered the risk of death. Another revelation made said that you could be at a higher risk of death from all causes including cancer if you kept taking vitamin D supplements even when you didn't have any deficiency of the same. Hence, it is said that the preferred way to meet all nutritional demands is through food and not supplements. - Best sources of vitamin D: Egg yolks, fish like salmon, cheese. - Best sources of vitamin K: Eggs, soya and green leafy vegetables. - Best sources of calcium: Milk, cheese, paneer, yogurt, dairy products, vegetables like broccoli, cabbage, soya beans and certain nuts. - Best sources of zinc: Green leafy vegetables, potatoes, whole grains, poultry and certain fruits. Know and understand that it is very essential to have a balanced diet which includes healthy mix of all kinds of nutrients including meat, eggs, fruits, vegetables, legumes and other food items. These can decrease the need to have additional nutritional supplements altogether.